The Great Recession and Not-So-Great Recovery have been bad news for most Americans, but some people have suffered more than others. We call those people "Southerners." 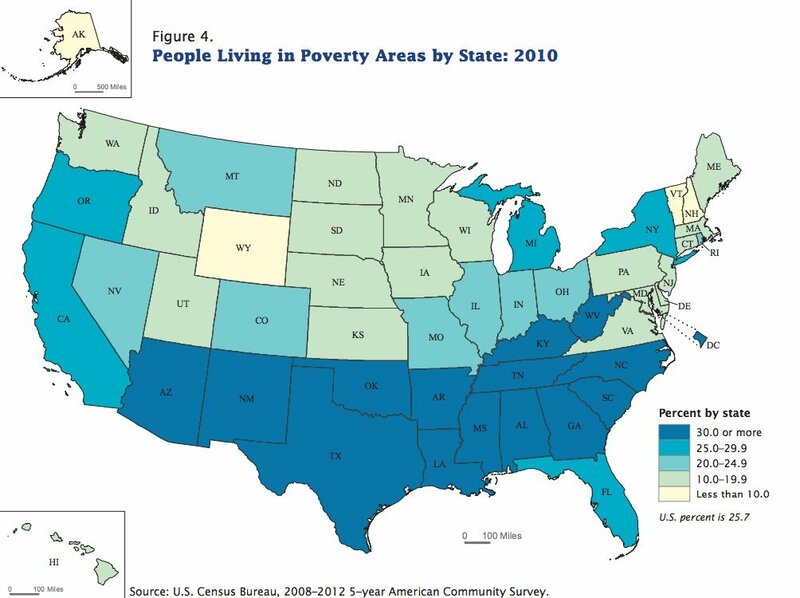 North Carolina and a handful of other Southern U.S. states saw the biggest increases in the number of people living in what are known as "poverty areas" between 2000 and 2010, according to a new Census Bureau report. Poverty areas are places where more than 20 percent of the people live below the federal poverty line, which varies by family size. 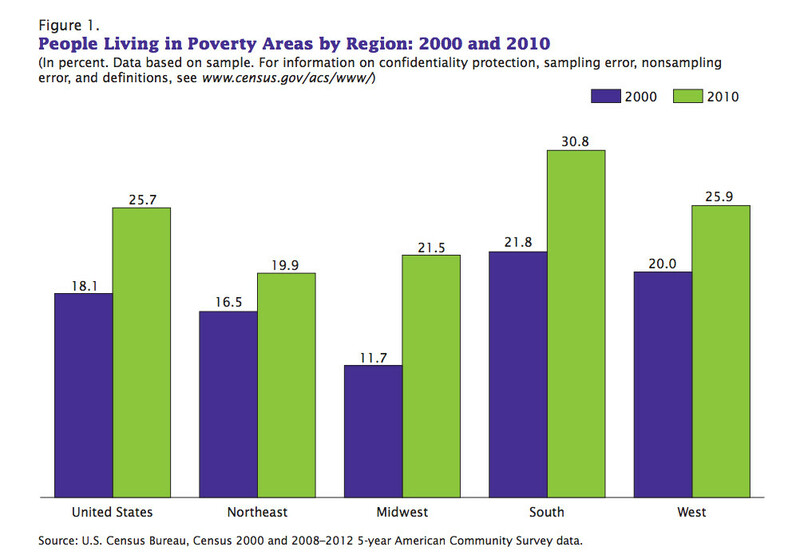 For a family of four, the poverty line in most states is an annual income of $23,850. Today, 25.7 percent of all Americans live in such areas, up from 18.1 percent in 2000, according to the report. Having a quarter of the nation living this way is a problem: Poverty areas are typically marked by "higher crime rates, poor housing conditions, and fewer job opportunities," the report points out. Note that Southern states were five of the six biggest gainers. This should not be much of a shock, as Southern states consistently lag the rest of the country in good things like wages, economic mobility and access to health care, while leading it in bad things like poverty, obesity and general unhappiness. Another thing Southern states have in common is Republican political leaders that have spent the past decade shrinking the social safety net. Bucking the trend, two Southern states, Louisiana and West Virginia, actually saw the number of people living in poverty areas shrink during the decade.